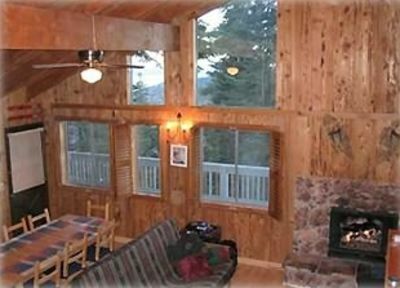 Come see what this pristine 1-bedroom, 1-bathroom Stateline vacation rental condo has in store for you! 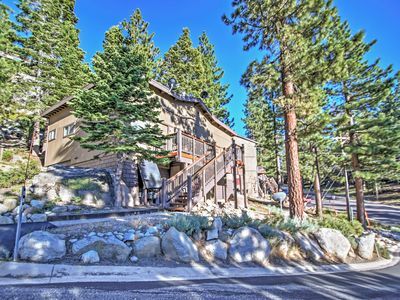 Bring along 1 other guest to enjoy all of the outstanding features of this condo, including a convenient location 5 minutes from gorgeous South Lake Tahoe. 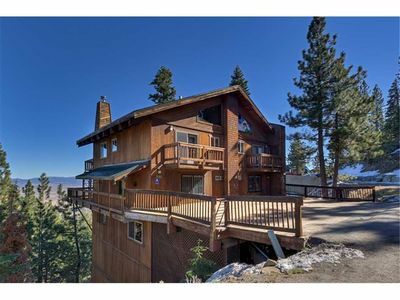 No matter the season or reason, this condo is perfect for couples looking for that perfect retreat into the astonishing peaks of the Sierra Nevadas! 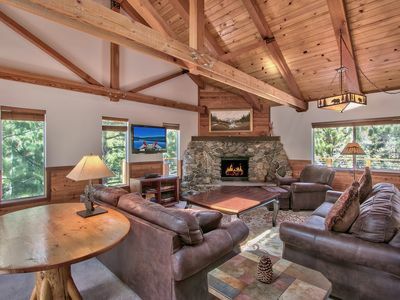 From the moment you first arrive, you'll fall in love with the property's tranquil setting, surrounded by sublime pine trees and mountain scenery. 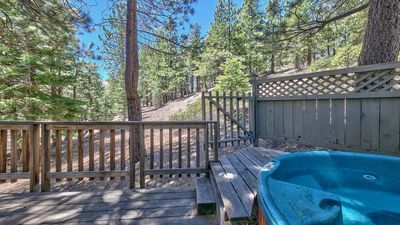 Start your vacation mornings by sipping a fresh cup of coffee outside on the private deck, where peace and quiet perfectly compliment the breathtaking views. 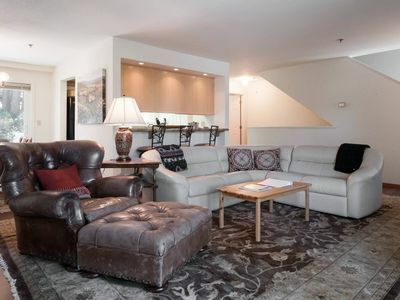 The condo's recently renovated interior features brand new hardwood floors, rugs and cozy furniture throughout 590 square feet of tastefully appointed living space, creating an aesthetically pleasing atmosphere for your stay. 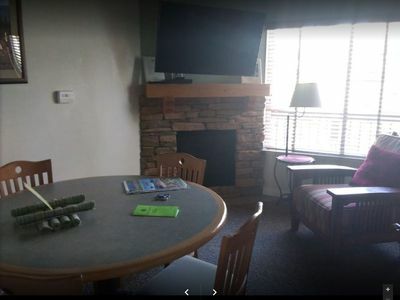 Everything you need to feel as comfortable as possible is here, including central heating, wireless internet access and in-unit laundry machines for your convenience. 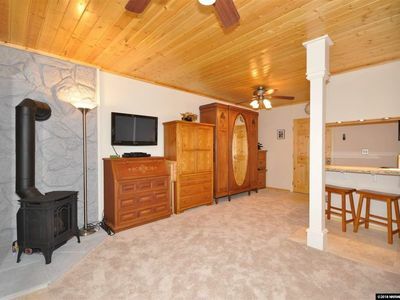 On cold winter nights, look forward to cuddling up with your significant other next to the elegant stone fireplace. 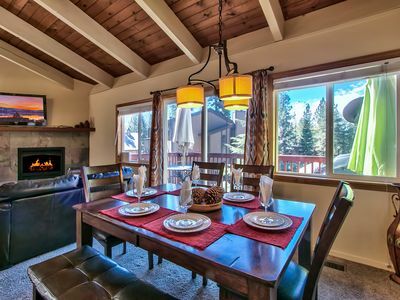 After a day in the outdoors, come home to prepare your favorite meal in the full kitchen, equipped with stainless steel appliances and travertine tile floors. 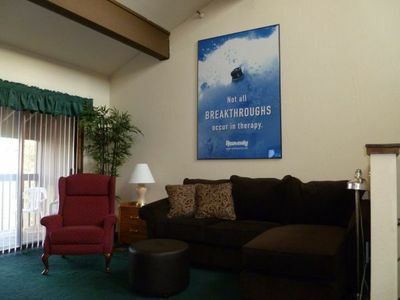 Later, spend your downtime in the living room, where you can watch Netflix and Amazon Prime on the flat-screen TV, before retreating to the Master Bedroom's comfortable queen-sized bed, furnished with a plush memory foam mattress. 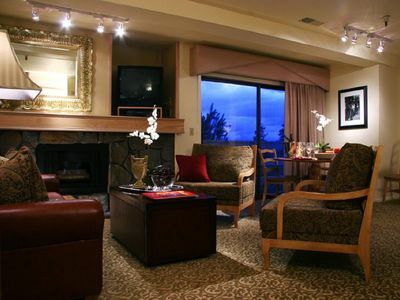 Once you discover all of the wonderful attractions that are close to this condo, you'll never want to leave! 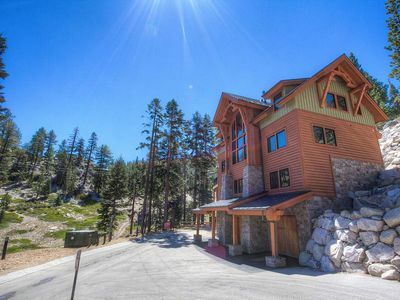 Walk a half-mile to Heavenly's Boulder Ski Lodge to enjoy extraordinary skiing and snowboarding. 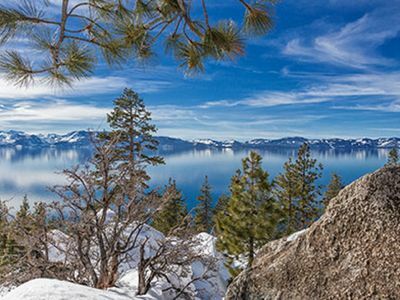 You'll reach South Lake Tahoe's in a short 5-minute drive, so you can easily spend your days boating, paddle boarding, kayaking, and swimming. 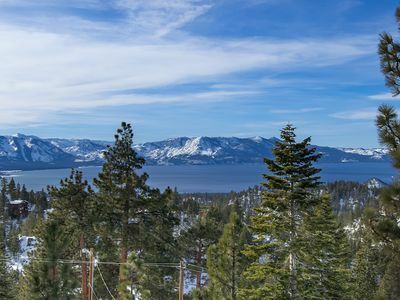 It's also 5 minutes to Edgewood Tahoe Golf Course and Stateline's casinos. 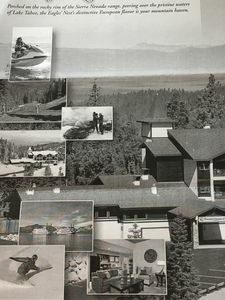 Satisfy your appetite at the Chart House, which features tasty cuisine and an affordable happy hour. 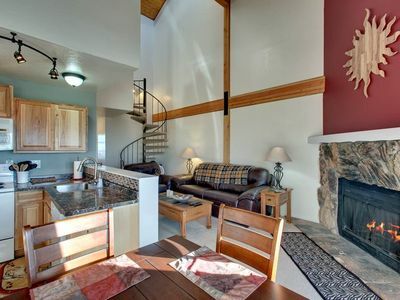 No matter how you plan to spend your time here, this excellent Stateline vacation rental condo will surely become a place you want to return year after year! 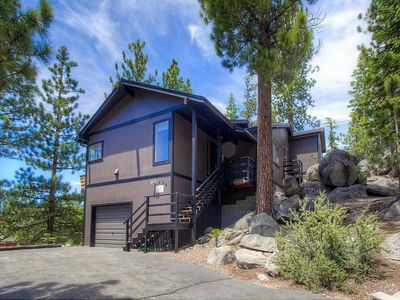 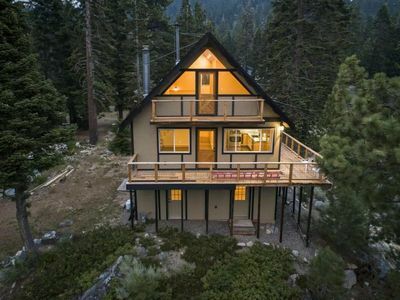 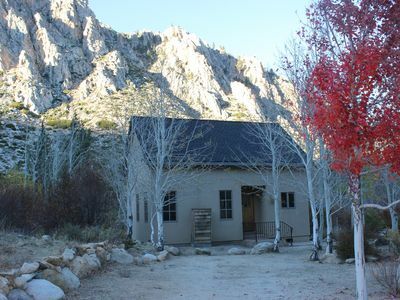 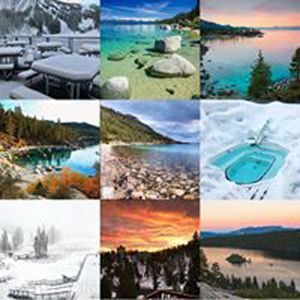 - Unbeatable location within 5 minutes of South Lake Tahoe! 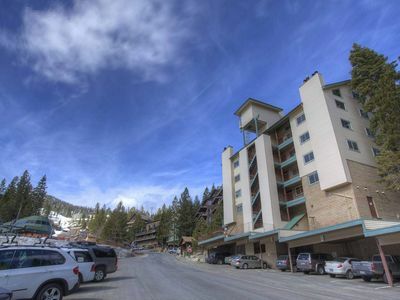 Make memories in this 1BR Condo, Lots of Space, Lake Tahoe Views and Patio!